Dubai: A newly opened farm in Dubai has devised a unique method of growing pesticide-free veggies all year round. It uses eerie pink LED lights instead of sunlight. 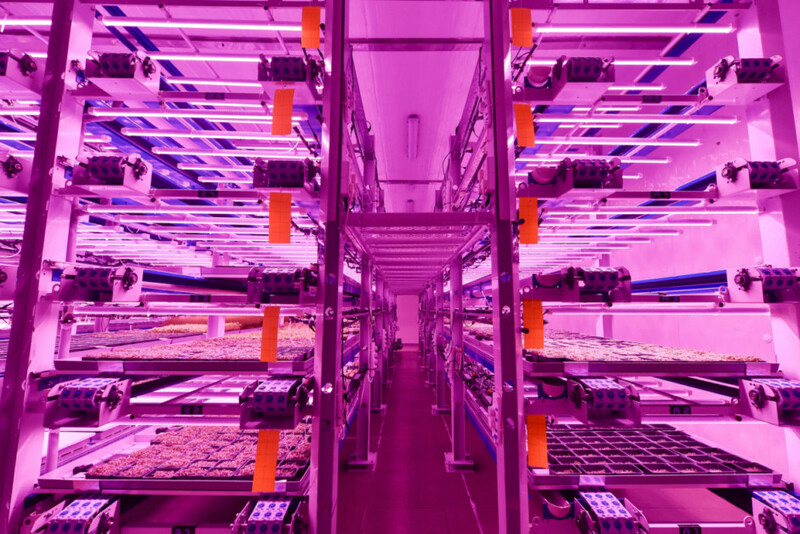 Unlike traditional indoor farms lit by high-powered flourscent lamps, the climate-controlled Badia Farms in Al Quoz 1 basks under efficient low-energy pink-colured lights which are not only cost-effective and durable but also speed up crop growth dramatically. 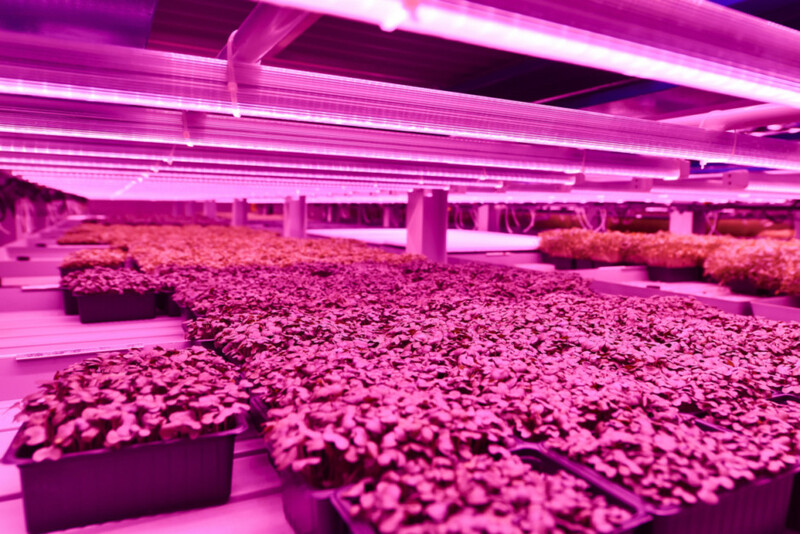 Researchers have found that plants grown under LED lights can significantly reduce greenhouse energy costs without sacrificing yield. According to them, the technique could change the way farming works. 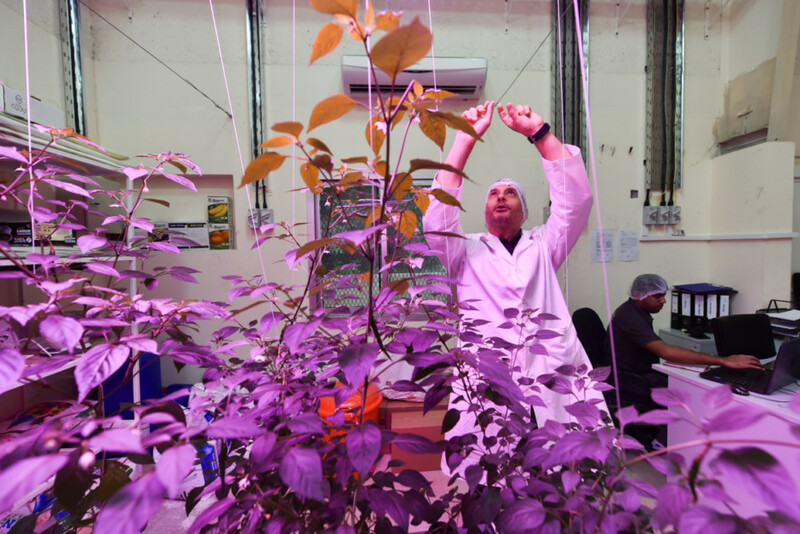 “Since these crops aren’t exposed to sunlight, they don’t lose water or energy and therefore are far more nutritional than plants grown outdoors,” says Saudi businessman Omar Al Jundi, founder and CEO of Badia Farms which operates from a warehouse. 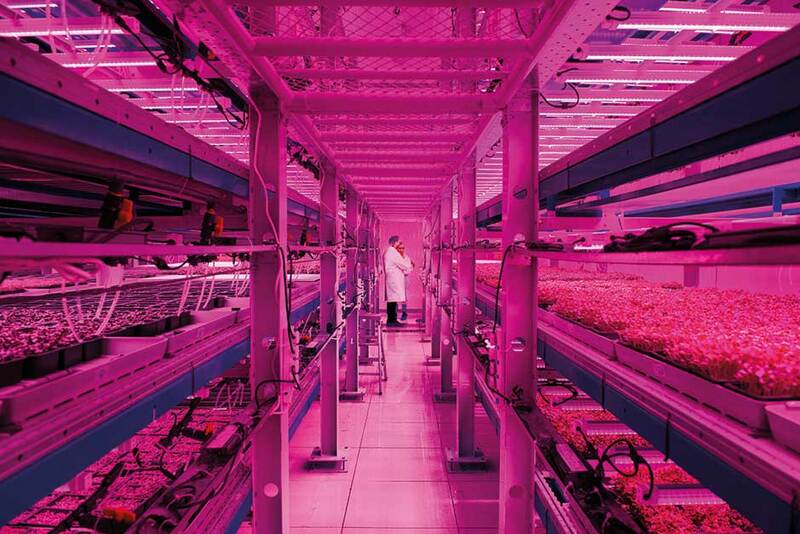 The neon pink lights make the place look more like a nightclub than an indoor farm. When plants are stacked on top of each other in a vertical farm, the ones at the bottom are often deprived of essential nutrients. The only way to get around this problem is to add artificial light which could add up to costs. New research shows that plants don’t necessarily need the whole spectrum of ROYGBV lights. According to scientists, pink light – a combination of red and blue wave lengths -- is all that they really need to grow. Spread over 8,500 square metres, Badia Farms produces nearly 18 varieties of micro-greens including arugula, kale, radish, red cabbage, basil and mustard. The produce can be ordered online at www.secretsfinefood.com. “The response has been very encouraging,” said Stephanie Duriez, managing director of Secrets Fine Food. 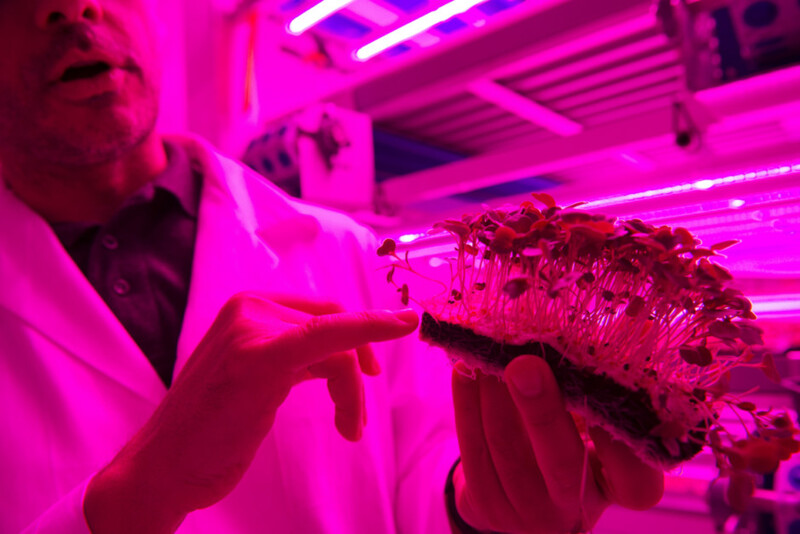 Omar reckons vertical farming under pink lights may well be the future of farming in the region. The country’s arid environment is not conducive to farming which expains why over 80 per cent of food requirements comes from abroad. “Through vertical indoor farming methods, we can dramatically reduce carbon footprints and grow leafy greens that are fresher, tastier and can be delivered from farm to table within hours,” he said. “We are currently testing for tomatoes, capsicum, cucumbers and chilli and are quite certain we will be able to produce them soon said,” he added. Vertical farming is the practice of producing food and medicine in vertically stacked layers. 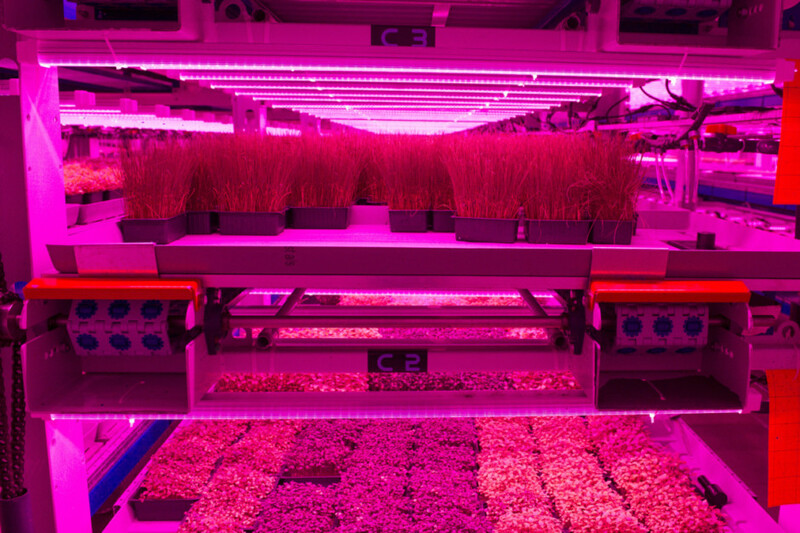 It uses indoor farming techniques and a controlled-environment agriculture technology, where all factors can be controlled. 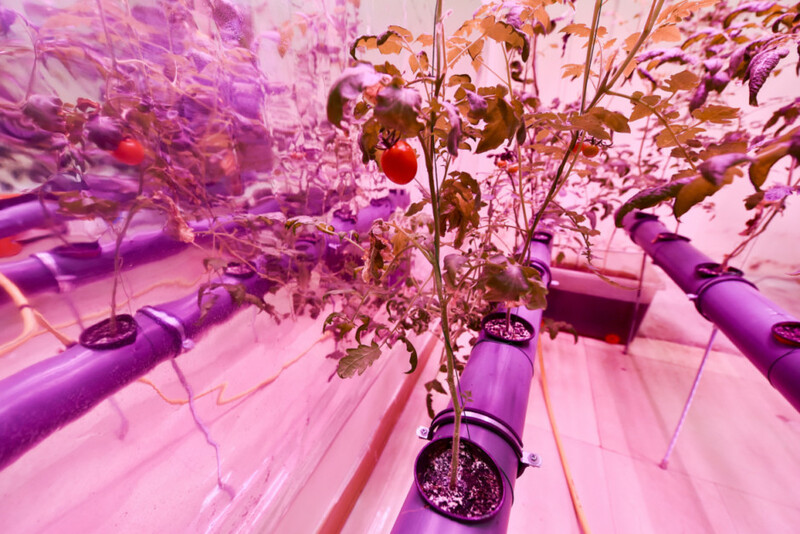 These facilities utilize artificial control of light, environmental control (humidity, temperature, gases, etc) and can produce vegetables and plants all year around.